Environmental toxicant exposure has been strongly implicated in the pathogenesis of Parkinson’s disease (PD). Clinical manifestations of non-motor and motor symptoms in PD stem from decades of progressive neurodegeneration selectively afflicting discrete neuronal populations along a caudo-rostral axis. However, recapitulating this spatiotemporal neurodegenerative pattern in rodents has been unsuccessful. The purpose of this study was to generate such animal PD models and delineate mechanism underlying the ascending neurodegeneration. Neuroinflammation, oxidative stress, and neuronal death in mice brains were measured at different times following a single systemic injection of lipopolysaccharide (LPS). We demonstrate that LPS produced an ascending neurodegeneration that temporally afflicted neurons initially in the locus coeruleus (LC), followed by substantia nigra, and lastly the primary motor cortex and hippocampus. To test the hypothesis that LPS-elicited early loss of noradrenergic LC neurons may underlie this ascending pattern, we used a neurotoxin N-(2-chloroethyl)-N-ethyl-2-bromobenzylamine (DSP-4) to deplete brain norepinephrine. DSP-4 injection resulted in a time-dependent ascending degenerative pattern similar to that generated by the LPS model. Mechanistic studies revealed that increase in nicotinamide adenine dinucleotide phosphate (NADPH) oxidase-2 (NOX2)-dependent superoxide/reactive oxygen species (ROS) production plays a key role in both LPS- and DSP-4-elicited neurotoxicity. We found that toxin-elicited chronic neuroinflammation, oxidative neuronal injuries, and neurodegeneration were greatly suppressed in mice deficient in NOX2 gene or treated with NOX2-specific inhibitor. 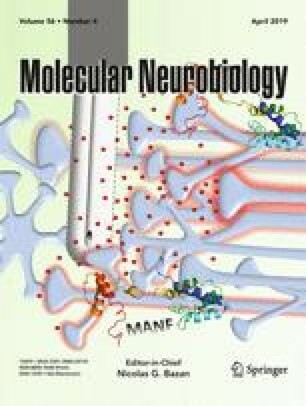 Our studies document the first rodent PD model recapturing the ascending neurodegenerative pattern of PD patients and provide convincing evidence that the loss of brain norepinephrine is critical in initiating and maintaining chronic neuroinflammation and the discrete neurodegeneration in PD. Sheng Song, Lulu Jiang, and Esteban A. Oyarzabal have equal contribution. The online version of this article ( https://doi.org/10.1007/s12035-018-1235-1) contains supplementary material, which is available to authorized users. This research was supported through the Intramural Research Program at the National Institute of Environmental Health Sciences in the National Institutes of Health, USA. We thank Anthony Lockhart for assistance with animal colony management and maintenance.